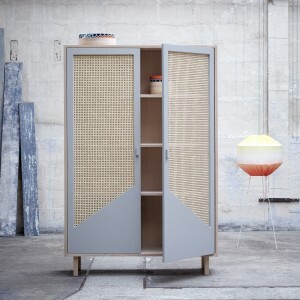 STRAW closet by COLONEL. Useful closet and perfect dimensions. Design by Isabelle Gilles and Yann Poncelet. This item is part of COLONEL new collection. With its doors in canework, COLONEL revisits the ancestral technique of cane weaving in a more current version. Design by Isabelle Gilles and Yann Poncelet. 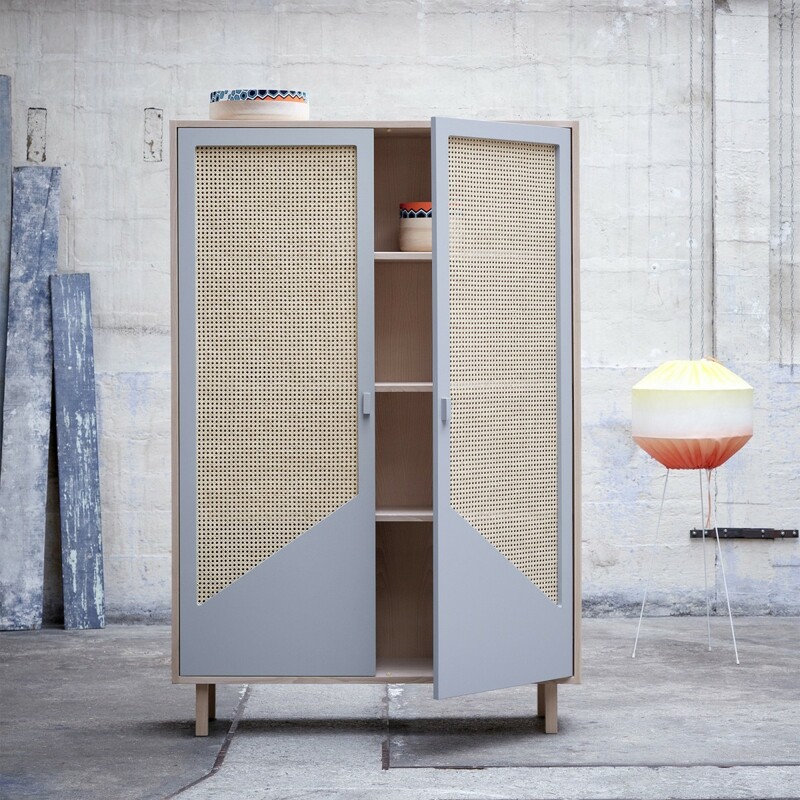 The STRAW closet is ideal in a kitchen, in a sitting room or in a bedroom. It allows to tidy up dishes or clothes while being esthetic.